This study aims to investigate oral corrective feedback in an Iraqi English as a Foreign Language (EFL) setting by comparing learners’ preferences with those of their teachers. A parallel questionnaire including 36 items was administrated to 100 EFL learners and 52 EFL teachers. For further study, interviews were also conducted with 10 teachers and 10 learners. Quantitative and qualitative methods were used to analyze the collected data. The findings revealed that teachers and learners preferred teacher feedback, self-correction, immediate feedback, and students’ responsibility for correction. Moreover, the most preferable type of corrective feedback among learners was elicitation. The results also confirmed that there exists a difference between teachers’ and learners’ preferences of corrective feedback in oral communication skills as well as a difference between learners’ preferences based on gender. Chaudron, C. (1988). Second language classrooms: Research on teaching and learning. Cambridge, UK: Cambridge University Press. Coskun, A. (2010). A Classroom Research Study on Oral Error Correction. Humanizing Language Teaching Magazine, 12(3), 1–12. Edge, J. (1989). Mistakes and correction.New York: Longman. Fidan, D. (2015). Learners’ Preferences of Oral Corrective Feedback: An Example of Turkish as a Foreign Language Learners. Educational Research and Reviews, 10(9), 1311–1317. Fungula, B. (2013). Oral Corrective Feedback in the Chinese EFL Classroom. (Independent thesis Advanced level,professional degree). Retrieved from http://www.diva-portal.org/smash/record.jsf?pid=diva2%3A693017&dswid=-4491. Horwitz, E. K. (1988). The Beliefs about Language Learning of Beginning University Foreign Language Students. The Modern Language Journal, 72(3), 283–294. Kaivanpanah, S., Alavi, S., & Sepehrinia, S. (2015). Preferences for interactional feedback: differences between learners and teachers. The Language Learning Journal, 43(1), 74–93. Katayama, A. (2007). Learners’ perceptions toward oral error correction. In K. Bradford-Watts, 284–299. Kazemi, R., Araghi, S. M., & Davatgari, H. (2013). Iranian EFL Learners’ Preferences toward Classroom Oral Error Correction: With a Main Focus on Their Proficiency Level. Theory and Practice in Language Studies, 3(11), 1996–2003. Khorshidi, E., & Rassaei, E. (2013). The Effects of Learners ’ Gender on Their Preferences for Corrective Feedback. Jornal of Studies in Learning and Teaching English, 1(4), 71–83. Krashen, S. (1981). Second language acquisition and second language learning. Oxford, England: Pergamon. Lightbown, P., & Spada, N. (1999). How languages are learned. Oxford, UK: Oxford University Press. Lyster, R., & Ranta, L. (1997). Corrective Feedback and Negotiation of Form in Communicative Classrooms. Studies in Second Language Acquisition, 19(1), 37–66. Nunan, D. (1987). Communicative language teaching: The learner’s view. Singapore. SEAMEO Regional Language Centre. Ok, S., & Ustacı, H. (2013). Preferences of ELT Students on the Strategies Instructors Use in the Correction of Oral Grammar Errors. International Journal of Business and Social Science, 4(8), 244–254. Park, G. (2010). Preference of Corrective Feedback Approaches Perceived by ative English Teachers and Students. The Jornal of Asia TEFL, 7(4), 29–52. Rahimi, A., & Dastjerdi, H. (2012). Impact of immediate and delayed error correction on EFL learners’ oral production: CAF. Mediterranean Journal of Social Sciences, 3(1), 45–54. Richards, J. (1974). Error analysis: Pesrpectives on second language acquisition. New York, NY:Routledge. Schmidt, R. W. (1990). The role of consciousness in second language learning. Applied Linguistics, 11(2), 129–158. Strauss, A. (1987). Qualitative analysis for social scientist. Cambridge: Cambridge University Press. Tomczyk, E. (2013). Perceptions of Oral Errors and Their Corrective Feedback: Teachers vs. Students. Journal of Language Teaching and Research, 4(5), 924–931. Truscott, J. (1996). The case against grammar correction in L2 writing classes. Language Learning, 46(2), 327–369. Yoshida, R. (2008). Teachers’ Choice and Learners’ Preference of Corrective Feedback Types. Language Awareness, 17(September 2014), 78–93. Zarei, N. (2011). The Relationship Between Gender and Corrective Feedback. 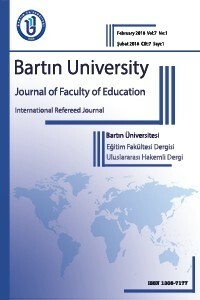 Online Jornal of ICT for Lanaguage Learning, 59–79.